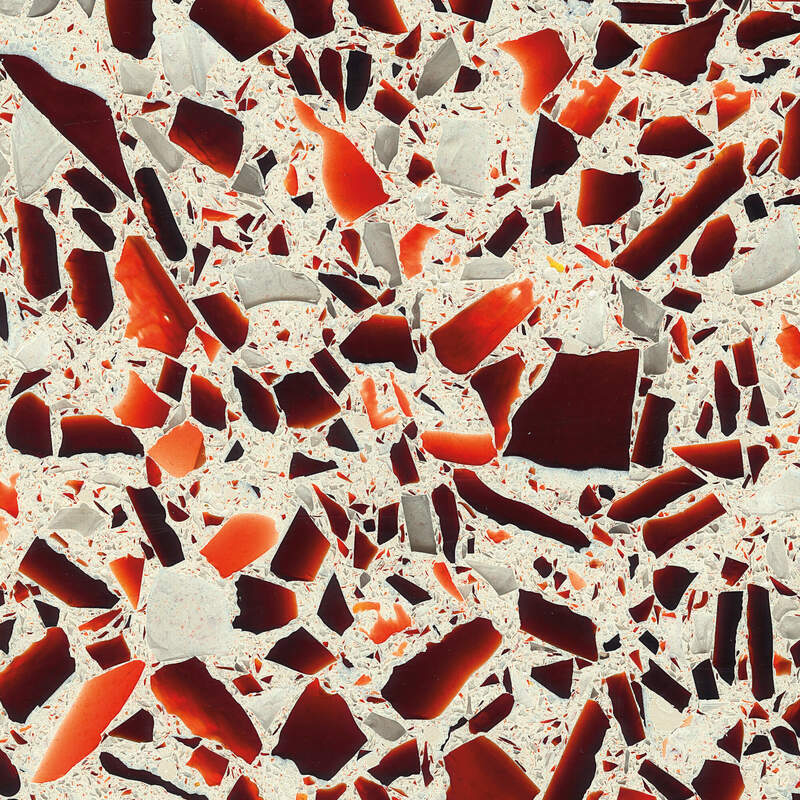 Vetrazzo is a collection of recycled glass and concrete slabs that can be used in almost any application where you would use granite or marble. 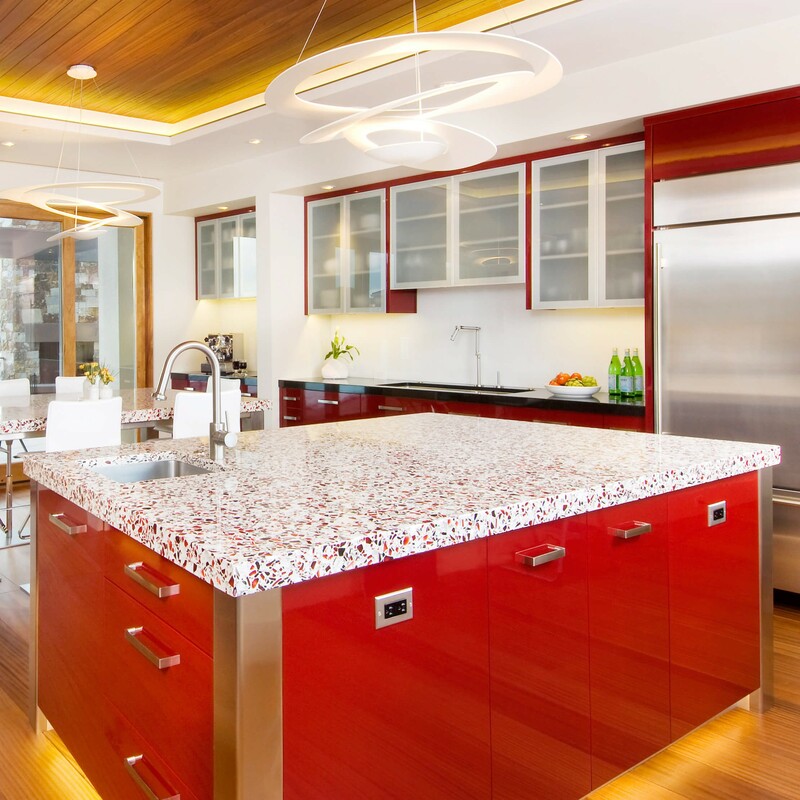 The color palette is diverse and offers something for everyone, from the very subtle like the Flint Glass collection to the very bold like the Vetrazzo Ruby Red. Perhaps my favorite thing, aside from the fact that I learned more about the product, was the opportunity to hear the story, and to hear Mary at Vetrazzo’s genuine passion for the product. Her excitement shows when she speaks, and that always says a lot to me about a product. 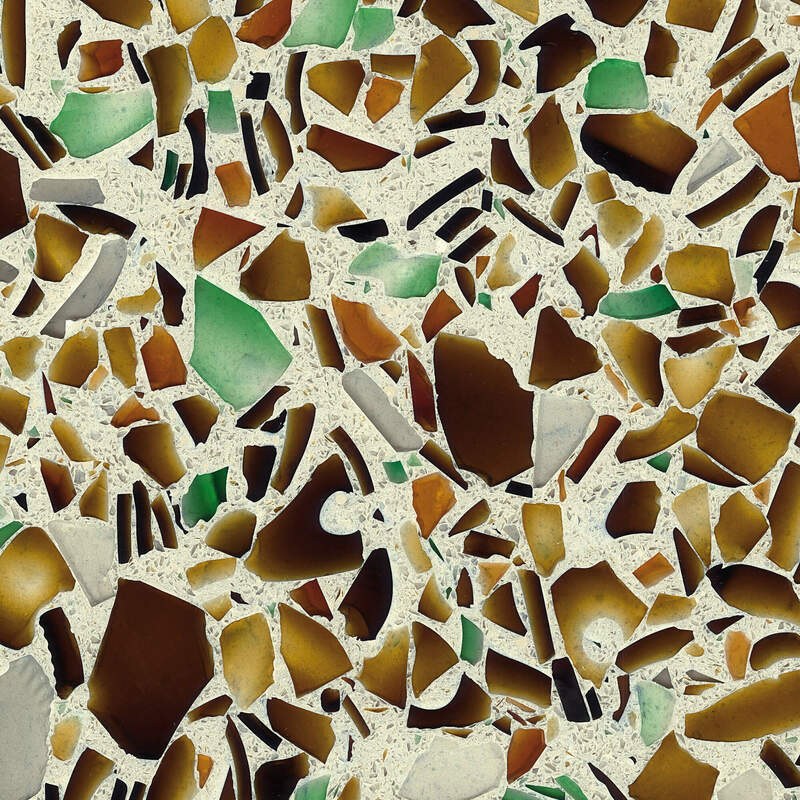 Vetrazzo’s first recycled glass and concrete slabs were made in the late 1990s in California, and created such a buzz that a brand was born and their manufacturing facility opened in 2006. Today, although the manufacturing has moved to Georgia, the attention, passion, and story in each slab remains the same. The company’s tag line is “A story in every surface” and that goes beyond being a marketing line and is literally visible in everything they create. In addition to presenting a green product, the slabs are unique, varying slightly based on the post-consumer and post-industrial waste available to them at a given time. While they do have a “recipe” for each color, and the finished product will fall within a range of acceptable resemblance to the samples they provide, subtle variations will occur. For instance, Mary mentioned that one particular color, Vetrazzo Alehouse Amber, will appear slightly lighter or darker depending on the time of year the slabs are made, based on peoples’ beer of choice. In the Summer months, lighter colored amber bottles are more common because they reflect the lighter beer consumed in the Summer, while in the Winter when people are consuming more dark beer, the amber colored glass available for use tends to be darker. 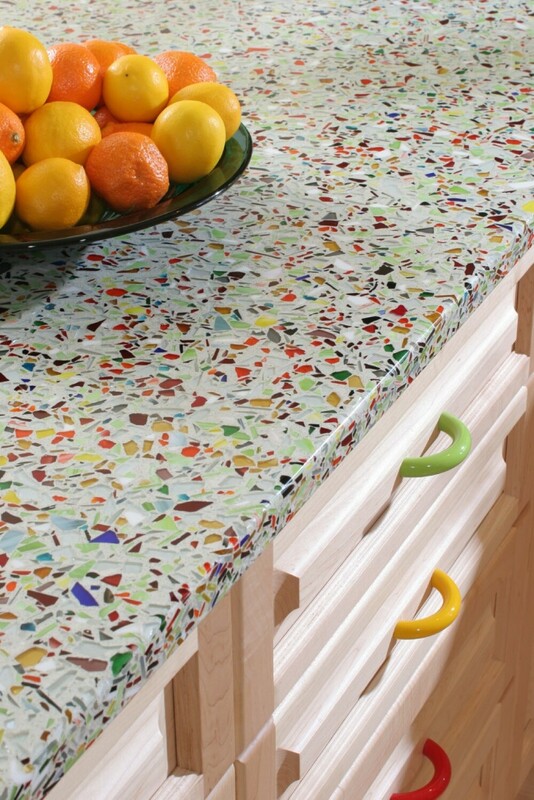 A lot of green products make a lot of claims, but one of the things that stands out about Vetrazzo is that they actively keep waste out of landfills. A single slab contains the equivalent of 700-1,000 glass bottles. They make a difference! The glass comes from multiple post-consumer and post-industrial sources, like the bottles I mentioned in Alehouse Amber, but also all types of glass ranging from architectural glass from windows and doors in abandoned buildings, to industrial waste from the manufacturing of red glass dishes (think those fancy red holiday goblets) as is the story behind Vetrazzo Ruby Red. The flint glass line features plentiful “regular” glass from things such as jam jars and other everyday glass items that would otherwise end up in landfills. Vetrazzo Millefiori (a thousand flowers) is a unique and fun blend that utilizes rejects and over runs of continuous ribbon glass from the world’s largest art glass manufacturer, which results in a brilliant and eye catching color combination.